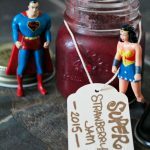 Super Paleo Strawberry Jam is sugar-free, so simple, and delicious! 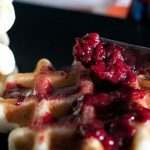 Great with a little ice cream, on paleo waffles or pancakes. 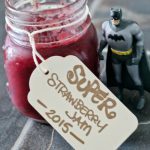 Enjoy the flavor of sweet strawberries without all the added crap! I went grocery shopping, the first big shop since moving. I had bought a few fresh items here and there to get me thru, but I have holes in some of my canned goods and pantry staples. I decided it was time. Time to shop like I could afford it. I'm saving for a new couch, and a trip to Cuba, but a girl has to eat. I considered making a list, but who has time for that??? So, of course, I got caught up in all the shiny stocked shelves, and didn't get all the things I needed. I got lost in the vortex of the market. I came home with my bags of food. With very little buyers remorse. I lugged bags of groceries up to my 3rd-floor walk-up, (in one trip of course- who takes two trips?!) and started the unpack and put-away process. I am lucky to have a large pantry (almost another bedroom!) so the canned and dry goods were easy, the fridge items, filled my fridge nicely, although I had some fruit and vegetable overflow. My freezer was a problem. I organized it a bit, moving things around, left some meat out for dinner and stood calculating my next Tetris-style move. The ice cream.. was going to have to come out. I would obviously have to eat the ice cream to make room for my recently purchased grocery haul; sacrifices must be made. While I was moving stuff around in the freezer I discovered fruit that had been washed and bagged in the summer when it was still so stinking hot. When it's 40 degrees celsius, the last thing you want to do is stand over a boiling stove! 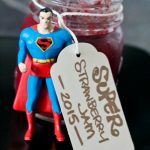 Now it's cold and dark, standing over the stove making jam sounds pretty cozy. Along with baking cookies and pies. After eating the ice cream, I pulled out the strawberries and set to work. This is a small batch recipe, making five 125ml jars. The perfect gift size, or for a single person! 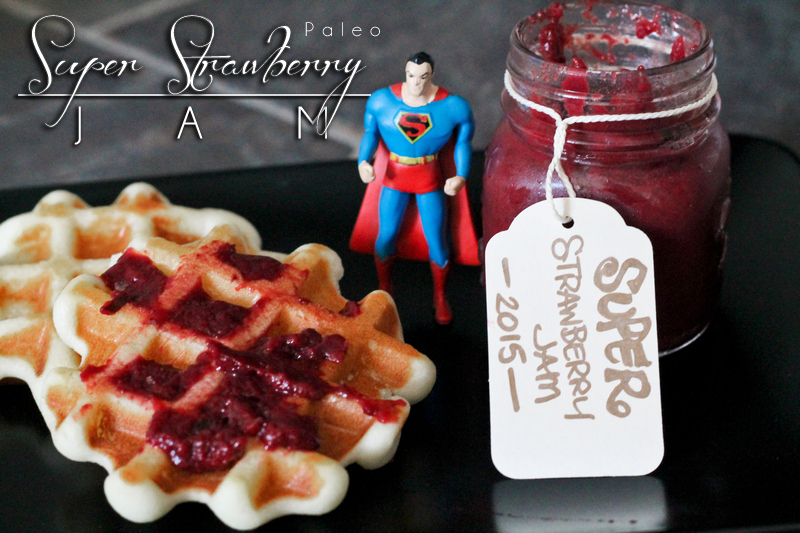 Super Paleo Strawberry Jam is sugar free, so simple, and delicious! 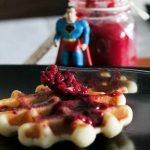 Great with a little ice cream, on paleo waffles or pancakes. 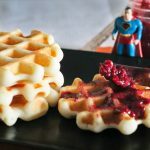 Enjoy the flavour of sweet strawberries without all the added crap! Fill canning pot with water and prepare. 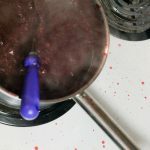 Put strawberries into a pot and bring to a boil over medium heat. Gently mash the fruit so it will be spreadable. 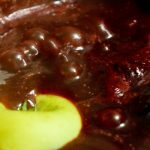 Add apple peels and simmer for a few minutes (5-7). Fish out apple peels and discard. Sprinkle in pectin, stirring constantly. Stir and simmer another 5-7 minutes. To can: Place into jars and finger tighten lids. Water bath can for 10-15 minutes depending on elevation. Let sit for 24 hours, any jars not sealing must be refrigerated immediately. 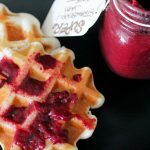 You can make this jam without pectin, add the peels from another apple and simmer for longer until desired texture is reached, it will diminish your yield! 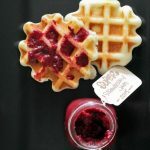 See our rosemary raspberry jam recipe for details. Great colour! 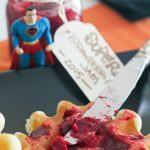 Love your superheroes!